Alcoholism is not an acute problem, it creeps up on someone, often a vulnerable person with other afflictions or personal problems that unfortunately haven’t been resolved. An addiction to alcohol doesn’t suddenly cease being a major problem in someone’s life either. It takes the right team of professionals well versed in the delicate art and science of treating someone dealing with alcohol abuse in order to help rehabilitate them. One of the most important tools of the trade, so to speak, is the detox procedure. TV shows and movies don’t often paint an accurate picture of what detox is like, because while the process or practice may be similar, the personal experience of the individual going through detox can vary widely. With an end goal for the detox procedure being a complete severance of the body’s physical dependence on alcohol, it’s no easy task, but with the right approach it can prime an individual for what comes next in their healing process. Why Is Detox Such an Important Part of Recovery? The human body is very adaptable, but often sacrifices long term benefits for those of the shorter variety. If someone drinks heavily, and frequently, the body can adapt to this in a number of ways, but it’s woefully unprepared to deal with the long term effects of consistent heavy drinking or alcohol abuse. 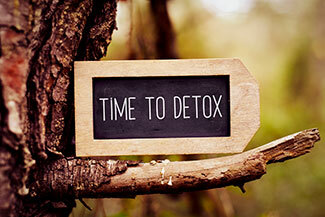 The stress on major organs alone can destroy our bodies, therefore the benefits of timely intervention through a carefully monitored detox procedure are paramount to preventing unwanted health problems in alcoholics. I Understand How Important Detox is Now, But What’s it Like to Go Through It? If only this were easy to answer. The experiences vary so much between individuals, that it’s very difficult to pin down what an apprehensive client may experience when they detox from alcohol. Some people experience depression, anxiety as well as tremors, which is why any detox procedure needs to be conducted by seasoned professionals with medical training. Some clients require round the clock observation and various medications to ease them through the process. Others are less affected, but still require a personalized approach. Is Detox Something I or a Loved One May Need? If it’s established that someone’s alcohol consumption is out of control and dictating their life, the answer is yes. Not only would that person need to detox from alcohol, but they would also need personalized care or rehab to hopefully heal their mind and body. Detoxing is simply the first step in the process of recovery, and eases someone onto the path of better health and sobriety. Sober living doesn’t happen overnight, and it takes some work to get there, but working with a dedicated team of addiction experts, like those at Sobriety Home, can make all the difference in the world to someone struggling to end their addiction to alcohol.